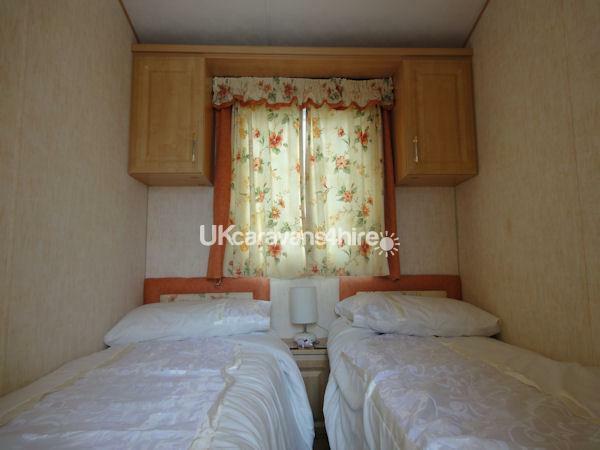 Please note this is a family owned caravan on Pevensey Bay Holiday Park. This is a family orientated holiday park, and the park does not accept all male, all female or mixed groups under the age of 25. The site do not allow hire to contractors or business groups. They also do not allow vans and commercial vehicles on the site. Please see the note titled: VEHICLE ACCESS TO SITE further down this description for full details. 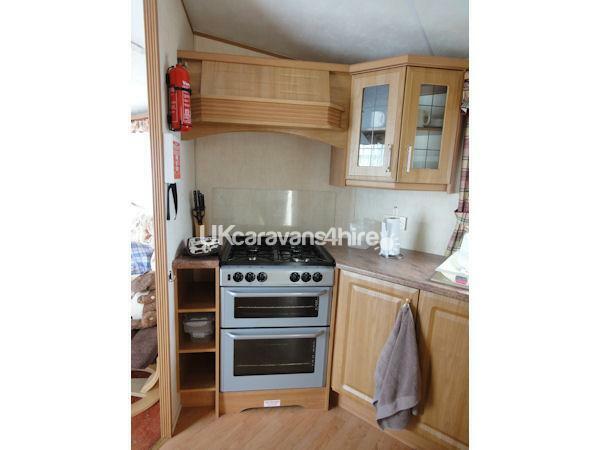 Our caravan, has one double bed and two 2ft wide single beds, and is suitable for families of up to 4 people. PLEASE NOTE WE DO NOT PROVIDE LINEN. Duvets and pillows are provided, but you will need to bring your own duvet covers, sheets, pillow cases, bathroom towels and tea towels. 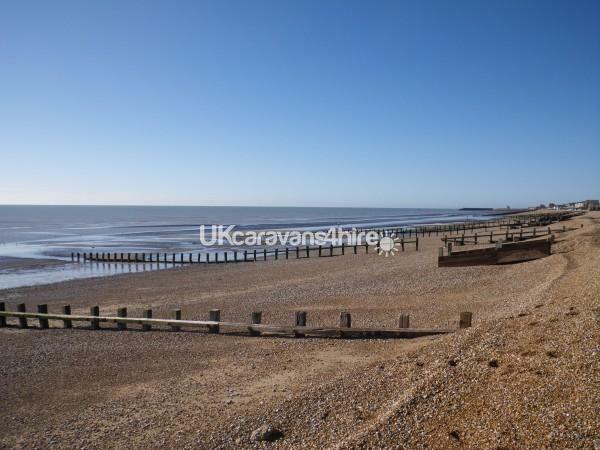 Pevensey Bay Holiday Park, is situated between Eastbourne and Pevensey Bay on the South Coast, in East Sussex. 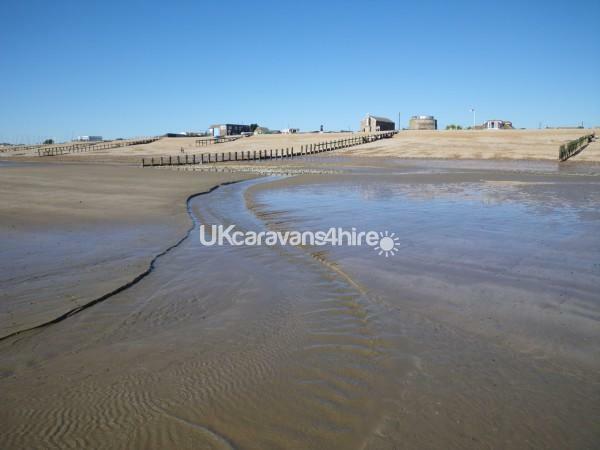 The site has its own direct private access to the beach, with no main roads to cross. The pebble beach is sandy at low tide. NOTE: The Holiday Park Reception, is opening hours are 9am to 6pm, but.there may be changes during the low season. 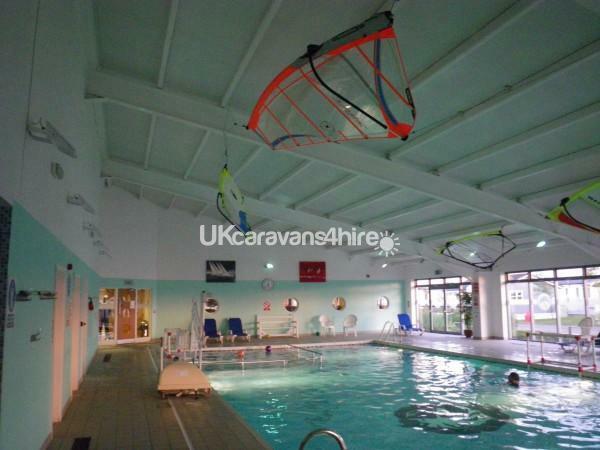 The facilities of the Park Club House, "The Boat House" include, indoor swimming pool, sauna, gym, and a small soft play area for toddlers. There is an onsite bar and restaurant, and coin operated laundry room. Please note: the pool is operated by the site owners and has on occasion been closed for routine maintenance, during the season. There is an outdoor play area. PLEASE NOTE the outdoor play area was changed for the 2012 season. So if you have visited before, everything that was in that play area has been removed. There is now a single play structure with slide and swings. Please see photo number 8, which shows what is currently on site. 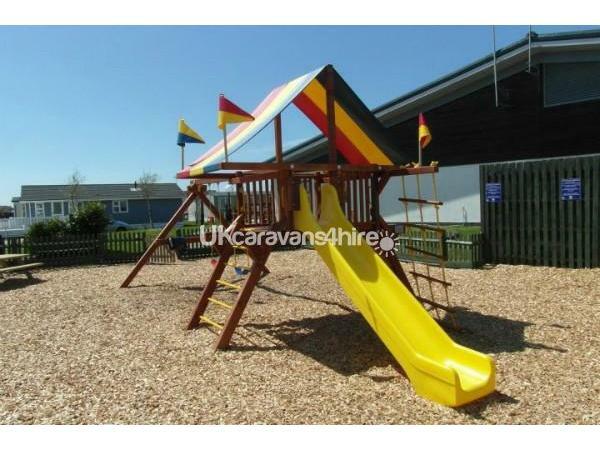 Additional photos on our Facebook page, search for "Eastbourne Breaks", and look for photo folder marked "play area - as revised for 2012". Off site there are all the attractions Eastbourne has to offer. The nearest bus stop is located at the Park Entrance. Head east and within a few minutes you are in the village of Pevensey Bay, with traditional seaside shops, pubs and takeaways. To the West is the Sovereign Harbour, and a range of Restaurants overlooking the moored boats. Slightly further away there is a large Tesco that remains open 24hrs Mon to midnight on Saturday, and then is open the usual 10am to 4pm on a Sunday. The other side of the harbour is the coastal cycleway and promenade, complete with dotto train at weekends in summers months and on occasion weekdays too. The path terminates at the foot of the South Downs, and passes, Princess Park, The Pier, Carpet Gardens, Bandstand and Wish Tower. Please visit "www.visiteastbourne.com" for full details of what Eastbourne has to offer. The site provides a great base for exploring East Sussex. 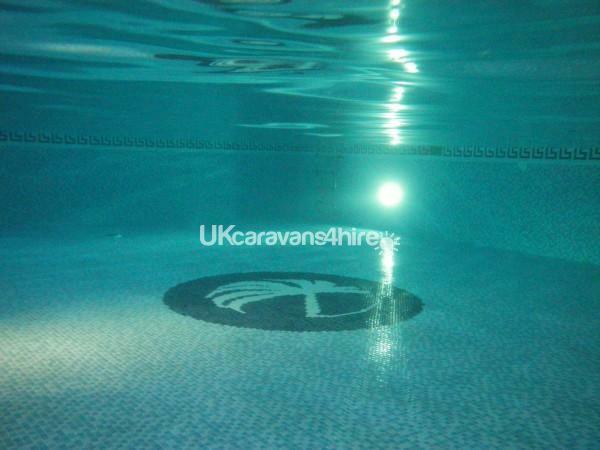 Please see "www.visitsussex.org" and "www.visitkent.co.uk"
Our caravan, has double glazing and central heating, and fully equipped kitchen including a freezer. 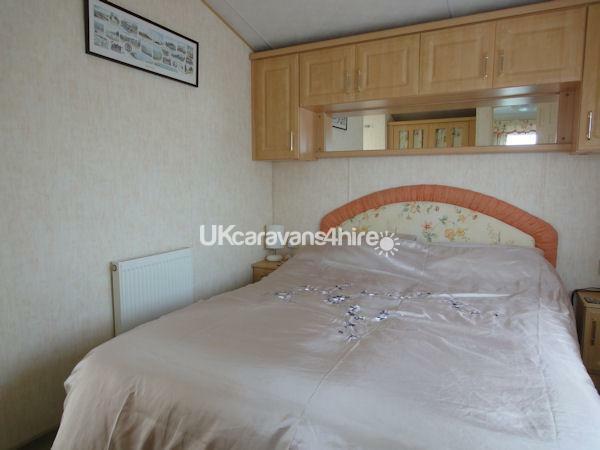 The master bedroom has a double bed and ensuite toilet. The second bedroom has two single beds. The bathroom has a shower and second toilet. 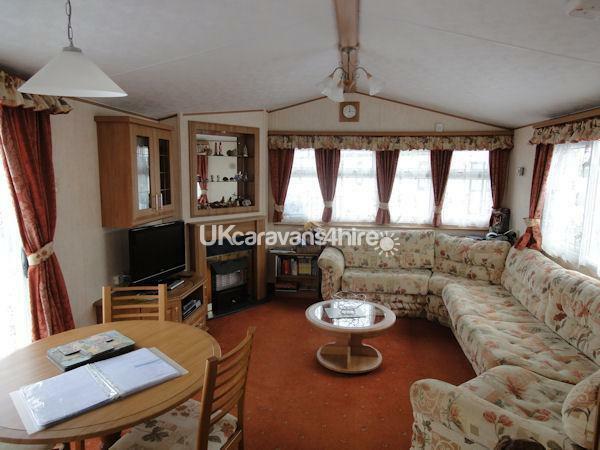 A dedicated parking space is adjacent to the caravan, and there are patio doors, and a patio area with furniture. The television has a Freesat tuner and Bluray/DVD player. 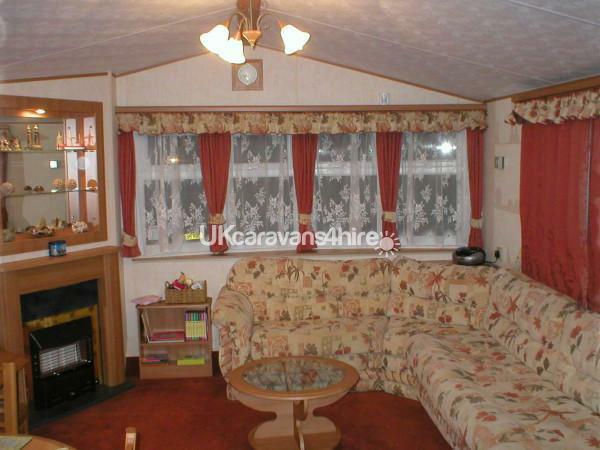 A large wrap around sofa, provides a comfortable spot to watch from. The lounge also has a gas fire and radio/CD player. Periods of less than a week considered, please get in touch to discuss if dates are available. VEHICLE ACCESS TO SITE: The site has the following rules, that are displayed at the site entrance and are as follows. NO COMMERCIAL VEHICLES Due to "the sites" licensing rules ALL types of Commercial Vehicles are strictly forbidden on the Park. 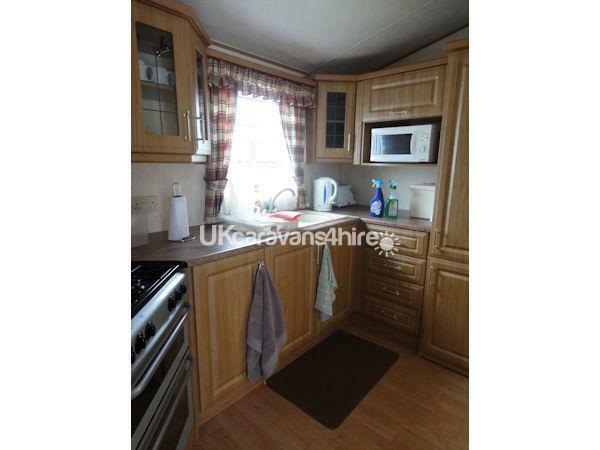 This includes, Transit style Vans of any length, Luton Lorries, Motorhomes, Tents and Tourer Caravans. The only exceptions are "Approved Contractors for the Park"
Additional Info: Swimming Pool, Bar, small Fitness Room. Please note for the 2018 Season Park Holidays have said that guest will require an entertainments pass to access this facilities. We have been told the price for these passes will be £10 per person per week.